Todays heavenly human came into my life via Songs of Praise and then a few days later we met in real life. 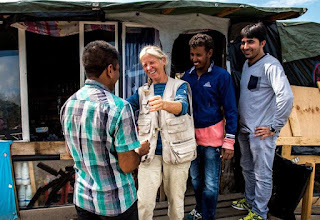 Maya works with L'Auberge des Migrants in whats now become known as 'The Jungle' in Calais. For years her and her husband have been working their butts off serving, local refugees day in day out. 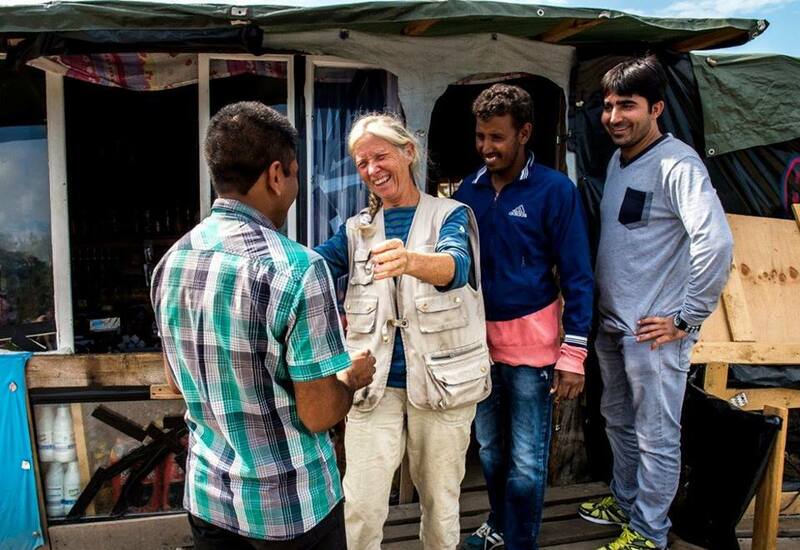 Spending her time between meeting people like us who have donations and being on the ground in the camp this photo sums her up perfectly. Like a surrogate mother she knows people, she cares and she gives what she can. She's a great role model for solidarity. This is her neighbourhood and she loves her neighbours well. Maya is a living legend!